Q. If I have a citation how do I find the full-text of the article? Filatova, O., Ford, J., Matkin, C., Barrett-Lennard, L., Burdin, A. and Hoyt, E. 2012. "Ultrasonic whistles of killer whales (Orcinus orca) recorded in the North Pacific (L)." Journal Of The Acoustical Society Of America 132, no. 6: 3618-3621. 2. Go to the library's homepage and click on the tab for Library Collections. Then choose "Find Journals." 3. 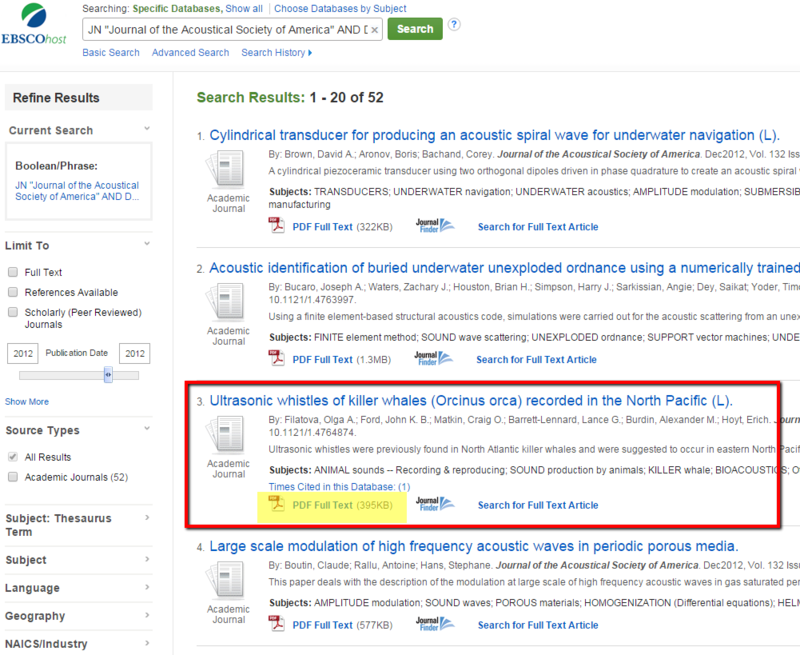 Type the title of the journal -- "Journal of the Acoustical Society of America" -- into the search box and click "Search." 4. If the title comes up in the search, it means the library has access to that journal either in print or online. 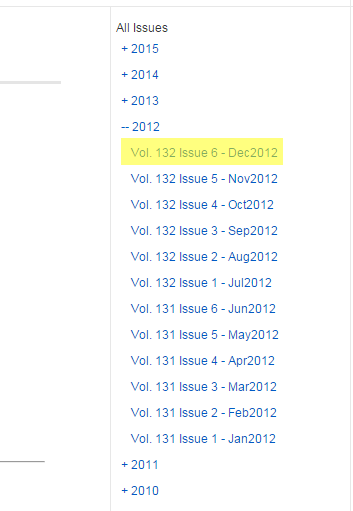 Under the title it will list all of the access points for that journal. If you have any trouble, call the library at 1-800-846-4085 or email us for assistance.